Last week was crazy trying to get everything packed and moved from Tim's house to my house. He did a ton of sorting of his belongings and managed to get rid of quite a bit of clothing! 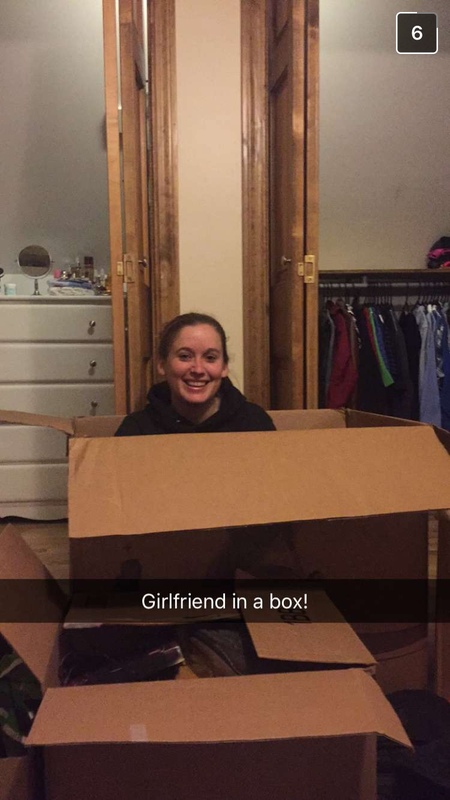 He sent me a couple pictures of his packing process. When I came home last Thursday afternoon I found these boxes ready to be unpacked. You'll see the true size of the bigger box a little further down the post. These boxes took me quite awhile to unpack but it was nice to see some progress! By the end of Thursday night we had quite a bit completed! I also showed how truly big the box Tim had packed his clothes in was by sitting inside it. Photo courtesy of Tim's snapchat. 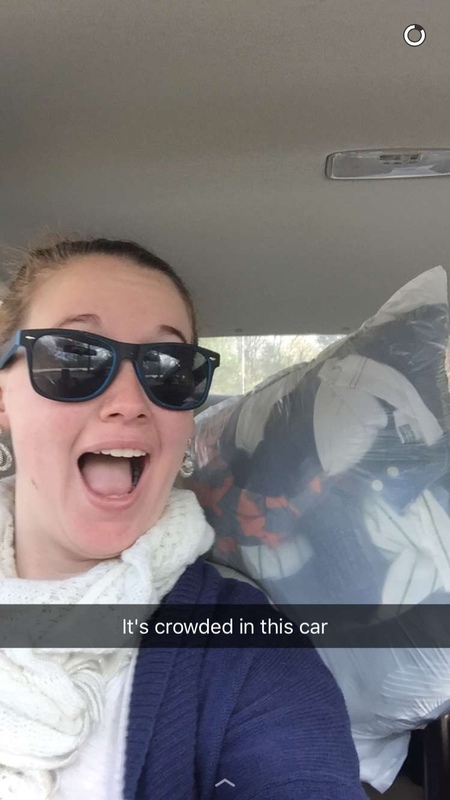 On Saturday I took a whole car load of Tim's items to my house. Here's what his room was looking like on Saturday morning before finishing packing my car. 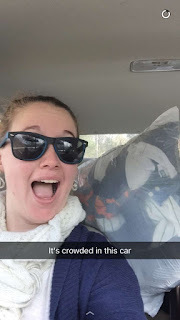 A car full of stuff! The bag behind me is actually a bag of donations, I was very proud of how much Tim donated! A Last Minute Valentines Day Gift!